Terre Haute, Ind. 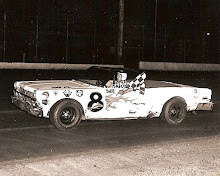 (June 13, 1965) – Johnny Rutherford, who was just seconds away from missing Sunday's 30-lap feature sprint car race here because of a leaking fuel tank, took the lead on the fifth lap and remained in that position to win $1,786 of a $9,065 purse. 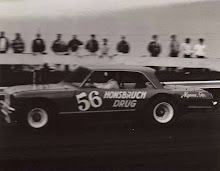 Rutherford started the feature in fourth place and grabbed front-running position from pole winner Jerry Richert, Jerry Daniels and Jud Larson. Larson gave it a good try, but ran out of time before he could catch Rutherford. 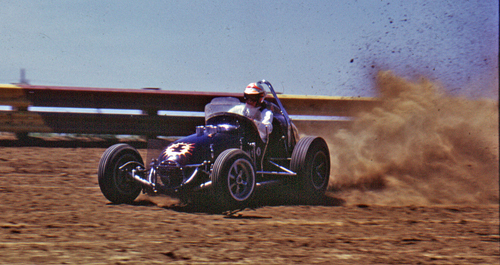 A. J. Foyt finished a very creditable third with an automobile that still wasn't running 100 percent. 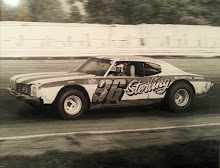 Rutherford drove his Chevy-powered sprinter to first place in the second heat of the afternoon at the Vigo County Fairgrounds after qualifying with a time of 24.42 seconds. Richert, Daniels and Larson finished first, second and third respectively in the first heat. There was no official time on the 10-lap heat because of a caution flag. Don Branson, last year's sprint car champion, took the checkered flag in the third heat with a time of 3:23.73 on the half-mile dirt oval. 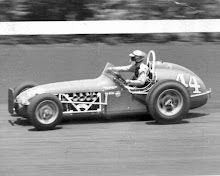 Rutherford's leaking fuel tank was discovered at the end of the winner's heat race and another type of “race” was underway; a race with time in finding a welder to repair the leak. As it turned out, a welder was not available and the crew had to stuff gaskets around the leak, according to Rutherford. 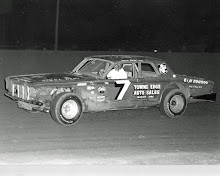 And how about our National Driving Champion, A. J. Foyt? Anthony Joseph won the 10-lap consolation race. And he had to come from a sixth place starting position in a 10-car field to do this. My, how things do change from year to year. A word must be said in A.J. 's defense. He was the hardest working driver at the track Sunday. To start the afternoon, his Chevrolet - powered sprinter came up with a sick engine. He missed his turn to qualify, and just barely got his car running well enough to make the last try of the day. Branson's luck wasn't much better. His draw for qualifying position was number 31. Larson drew number 30. On asphalt tracks, the qualifying order isn't too important, but on dirt it can make or break a driver. The more qualifying attempts the rougher – and slower - the track becomes. Less skilled drivers than these three probably wouldn't have made the program. Indianapolis 500 “Rookie of the Year”, Mario Andretti, kept the hex going that seems to follow the winners of this honor. Last years' “Rookie” winner, Johnny White, was seriously injured at the Terre Haute track. Mario escaped injuries, but his car was badly bent in a brush with the outer retaining wall coming out of the fourth turn. This was during practice before the race. Chuck Engle wasn't as fortunate in his “bouncing ballet of the dirt”. Chuck got sideways in number four turn that resulted in a spectacular series of end-over-end flips. He was taken to St. Anthony's Hospital, but a report on his condition wasn't available at press time.